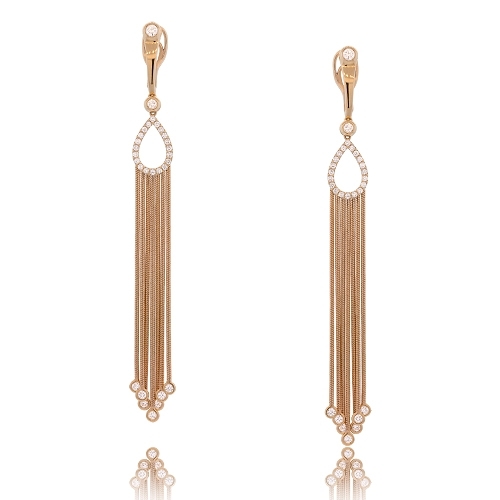 Earrings composed of strands of 18k rose gold suspended from a diamond top. Diamonds approx. 1.48ct. Earrings 4".